Theresa Quail with her students at Barry Elementary School. 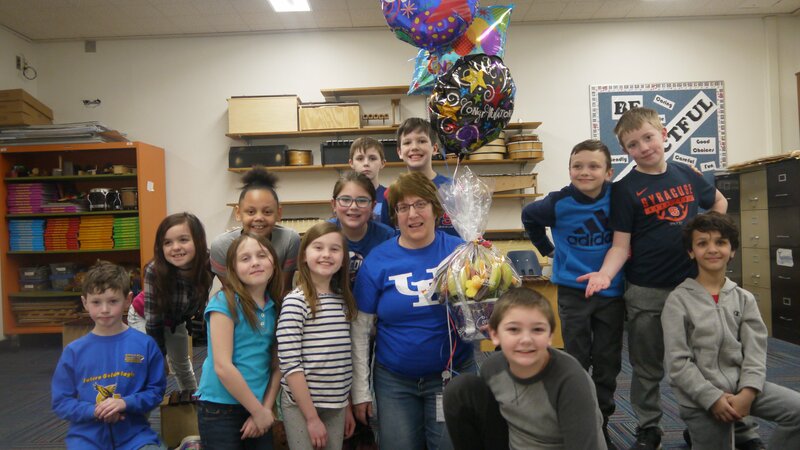 We are excited to share the news that this month's winner of the Cortland Voice Teacher of the Month Award is Mrs. Theresa Quail, a teacher at Barry Elementary School. For her hard work and dedication, Quail received a complimentary gift basket courtesy of Edible Arrangements of Ithaca. I am pleased to nominate Theresa Quail as the teacher of the month for February. As we all know, the Cortland City School District is preparing for significant changes in the elementary schools in 2020. One can be certain that a wide range of emotions are in play for teachers, administrators, parents, and students alike. Theresa Quail, currently a 3rd grade teacher, has been a fixture at Barry Elementary School for over 20 years. You can always find her at PTA meetings and special events for adults and students alike, often leading the charge and serving as one of Barry’s biggest cheerleaders. This year, Theresa has been working hard to make our school special events even more memorable, recognizing that this is the last year that Barry will be a K-6 building and the last year that she and her fellow long time Barry teachers will enjoy their camaraderie as co-workers. This month she has organized the menus, logistics, entertainment, and décor for the annual Barry School Founder’s Day Dinner. She was thoughtful enough to invite all of the past Barry PTA award winners and Lifetime members to come back for a special “Bon Voyage” event. She is embracing the history of the school, the PTA, and the community members who have made Barry a special place. 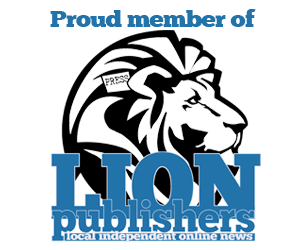 Nominations are still open for April. Visit our Teacher of the Month page to fill out a nomination form and vote for your favorite educator!